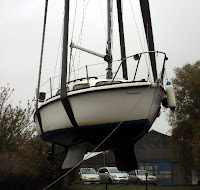 The end of another sailing season in our little yacht. This weekend she was lifted out of the water and tucked up in dry storage for the winter months. 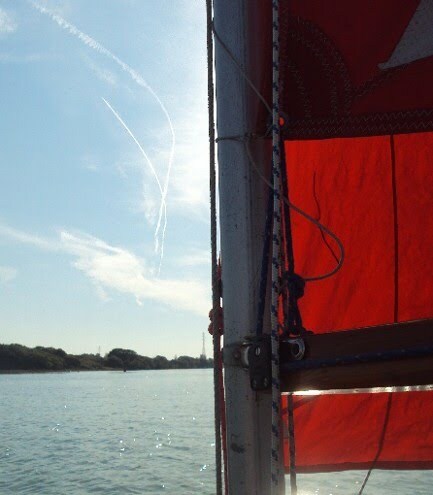 Although it is the end of October the weather here has been very mild, dry and sunny, so it was rather a treat to be on board on Saturday motoring her up the river to Newport with a warm light south westerly breeze on the bow. We usually have to don our waterproofs and woolly hats for this trip! On the Sunday the weather was still mild but drizzled and then it rained all day! 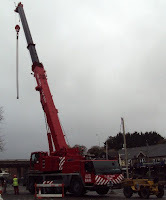 this made no difference to Skipper- as he spent most of the afternoon getting thoroughly soaked to the skin with the jet wash scrubbing off the mud and old anti foul, with most boat owners doing the same the Quay was a very wet and noisy place to be. I feel it has been a short summer we haven't been on the boats as much as we would have liked. 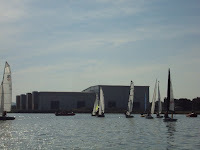 The dinghies are next to bring home, but if this mild spell holds out a little while longer Skipper and I might be whizzing around the river Medina in our Mirror dinghy for the next couple of weeks. 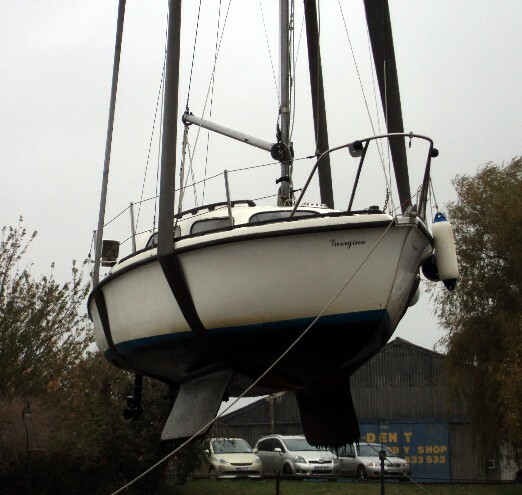 Then when our " little flotilla" is finally tucked up for the winter. We like to put on our walking boots and explore the Island- looking out to sea we have salty tales to tell and plan our new adventures home and abroad. Here is the finished sample of Jacob, which over the past months I have endeav0ured to share with you the process of working the freshly shorn fleece into a beautiful knitting yarn ready to use. 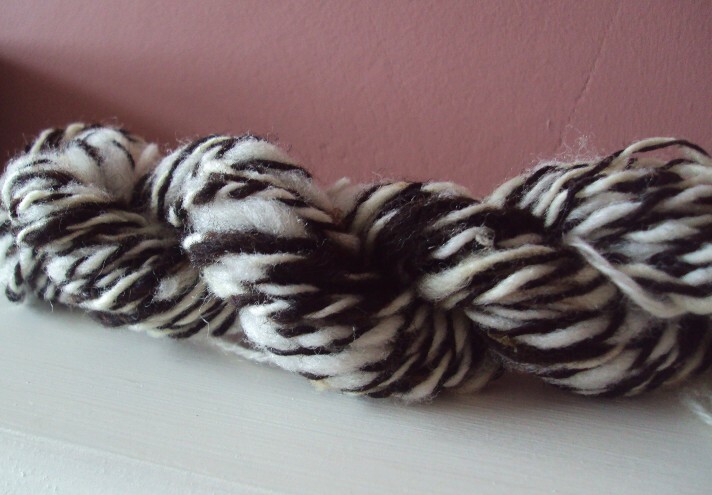 So far I have told you how I washed, carded and handspun the fibres (please read previous posts) and now I show you how I make a skein, wash and ball up the yarn ready to knit. 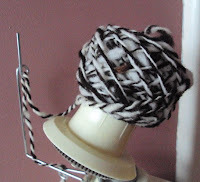 I unload the bobbin from my spinning wheel and wind the wool onto my niddy noddy. 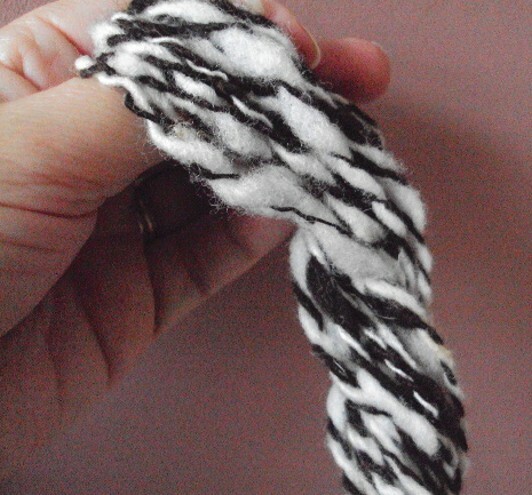 This is a really useful tool as it enables me to make the wool into a skien. When all the yarn is loaded up, I loosely tie the skein in four places and then slip the yarn off the niddy noddy and twist the long looped skein to stop it tangling. 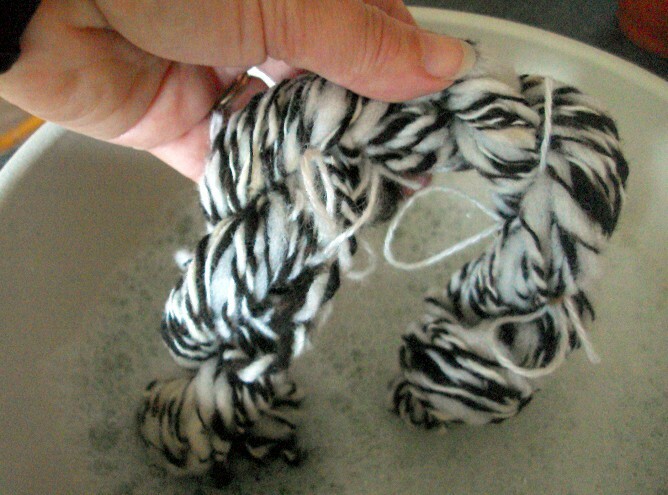 For Yarn Finish the skein is then washed in hot soapy water, rinsed in clear water and left to dry without tension so as it can develop it's loft and elasticity. It becomes bouncier, shorter and wonderfully soft. 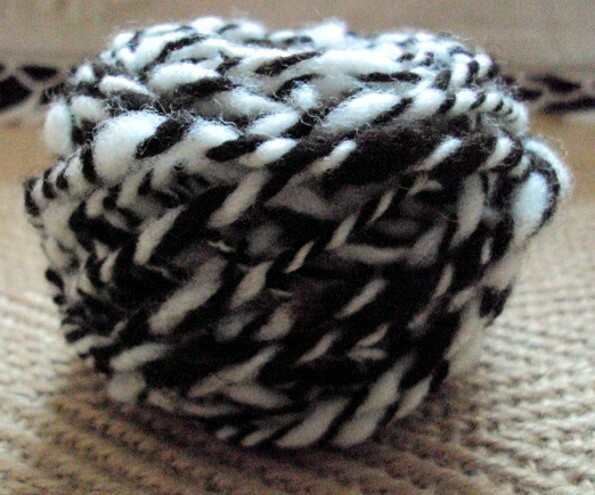 It is now ready to make into a ball of knitting yarn. I have a wool winder for this task. It is important that it is not too tightly wound into a ball as you want to keep the softness and bounce of the wool. 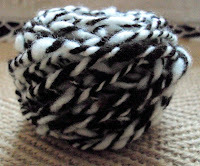 I usually store my handspun yarn in skeins and only " ball up" when I'm ready to use it. 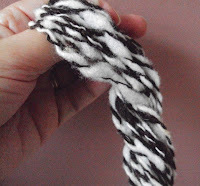 I am pleased with the result with this sample, I do like the effect of spinning dark fibres and pale fibres seperately and then plying them together into a yarn. It will be interesting to see it knitted up. However I think I prefer spinning the blacks and browns into skeins and keeping the creams and whites for knitting up in their natural colour tones and keeping some back for when I have another go at hand dyeing some yarn. The Isle of Wight has been enjoying a wonderfully warm start to October, so where else would you find us? but down at the boats. The river Medina was very busy with lots of little craft all enjoying the mini heat wave. 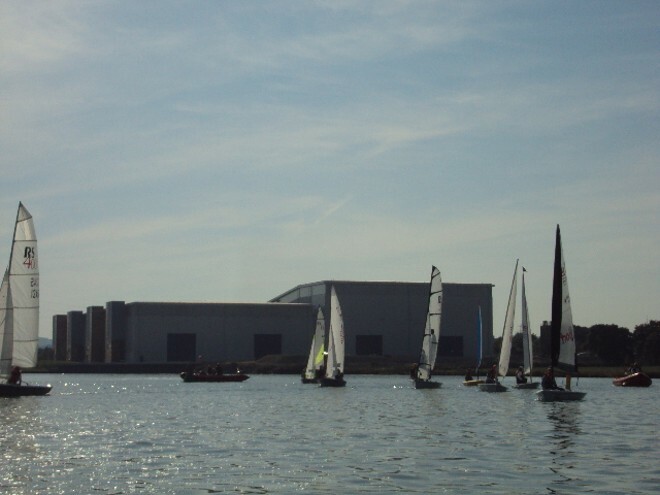 These dinghies were having a race, it is always fun to watch others and it was especially interesting to see how they do in "our racing waters". 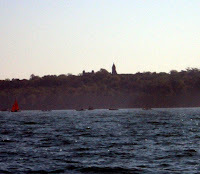 The tide was high with a light SE blowing, so it was more of a sedate slow procession for them. We watched them as we sailed our Mirror. 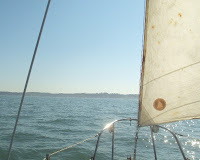 Another day we took our Sunstar 18 out on the Solent. 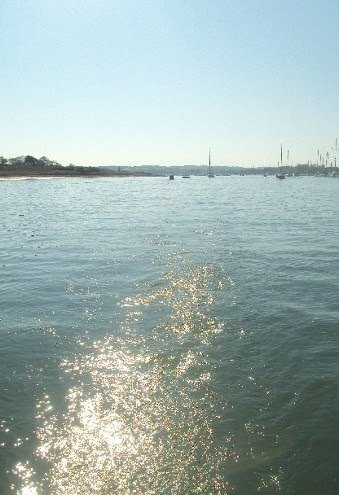 a beautiful early morning sun made the water glisten and sparkle as we motored down to the mouth of the river. 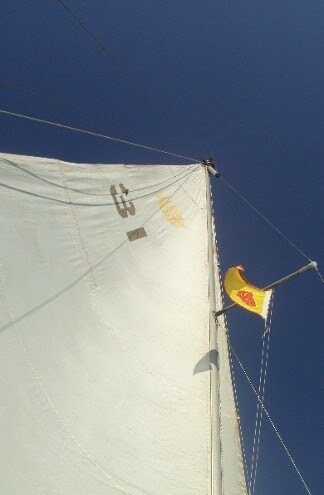 Raising the mainsail once clear of the navigation buoys we sailed on a very light NE breeze heading East. 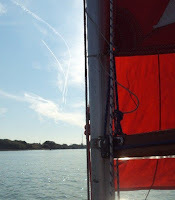 We made 2 occasionally 3 knots of speed using the tide to take us East. 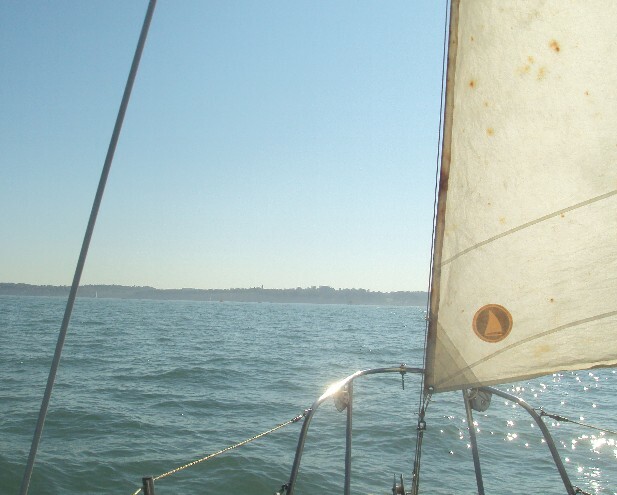 The kind of sailing when you can set your course, cleat off the jib and main sheets and hold your sandwich in one hand, coffee cup in the other. She bobs along happily in the warm sunshine. 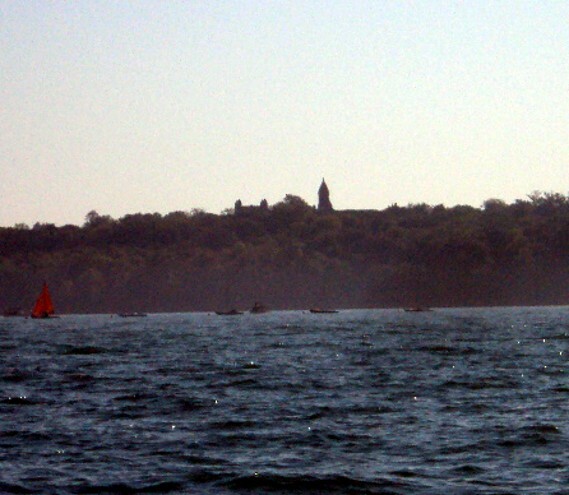 A view from the Solent, you can make out the tower and Abbey nestled in the trees. Next month I will be taking part in our Christmas Crafts At Quarr event. I will blog more details on this soon. And so home, a simply lovely day.